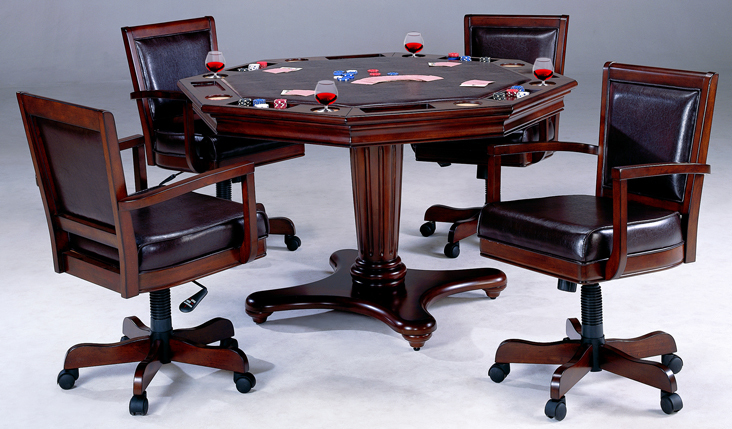 Hillsdale Furniture takes your game room to a whole new level with our Ambassador collection. Feel like checkers or chess? Take off the entire top, and you’ll find a built in board. 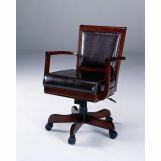 The Ambassador features a rich cherry finish, supple brown leather, a rectangle back chair and transitional design elements. Ambassador collection is not only functional and affordable, but attractive. 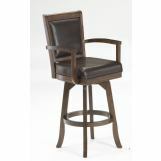 The perfect way to turn your kitchen or dining room into an entertainment hot spot for friends, family and fun.